Tanas is one of the Shifting Isles, originally to the west of the land, just north of Agoran, before the Breaking of the World. Once a tentative democracy, Tanas became a supposed commune, ruled over by the Council of Elders in what essentially became an oligarchy. Though in constant movement due to the shift cycle, Tanas remains primarily above the equator, giving it cooler temperatures year-round. The geography varies from mountain ranges in the west and north to farm land in the east and south, with the river Pascatin running through the latter. Tanasians are characterized by their insecure minds, which allow them to engage in telepathy (and, with extensive practice, telekinesis), the downside of this being that their minds are subject to outside control. This aspect of the Tanasian mind also allows them to see and hear ghosts, which are nothing more than projections of the mind once the body has ceased. Mental illness can often be more severe in Tanasians due to the inherent instability of the Tanasian mind thanks to their telepathic abilities. Like the Indisari, the Tansians are polygamists, with men being assigned multiple wives for the sake of rebuilding the population. Tanas suffered severe loss of life during the Breaking of the World, and has been trying to rebuild their population (deemed necessary by Council law) ever since. As such, women are property of their fathers, then their husbands. The Elders wear red robes, while the officers of the Eagle guard wear a uniform that is nearly black and officers of the Hawk guard wear slate grey. The general citizenry wear lighter grey uniforms, while all women wear undyed garments of pure white, known as wraps. The wrap consists of a floor-length skirt and a drape of cloth that is tucked in at the waist and crosses over the opposite shoulder, leaving the sides of the body exposed. An unmarried woman wears the drape over the left shoulder, while a married woman wears it over the right, leaving her left shoulder exposed, where her husband carves his name to indicate she belongs to him. Tanasians have no surnames or family names. Tanasians are highly suspicious of anything that comes in threes thanks to the three strikes of Father Zhagos‘s hammer that was used in the Breaking of the World. 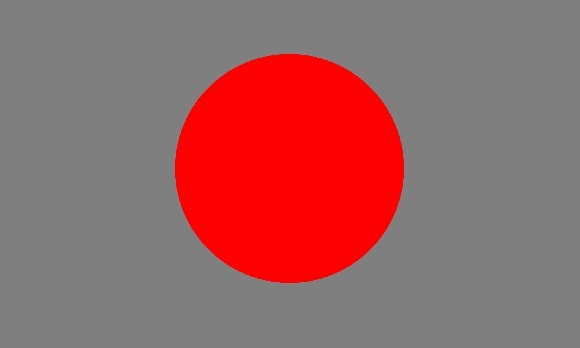 The flag of Tanas is a red circle in the midst of a grey ground.